Anthropology Assistant Professor AJ Faas and Social Work Assistant Professor Nicole Dubus received the 2016-17 Emeritus and Retired Faculty Association Faculty Research and Creative Activity Awards. Applications for 2017-18 are due Dec. 6. 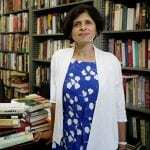 Research by San Jose State University professors into how societies and nations respond to and cope with manmade and environmental disasters – and what happens to individuals when they flee due to war, political instability or climate change – received support from the Emeritus and Retired Faculty Association (ERFA) in 2016-17. The association of former professors is now welcoming applications for the SJSU ERFA Faculty Research and Creative Activity Award, due December 6. 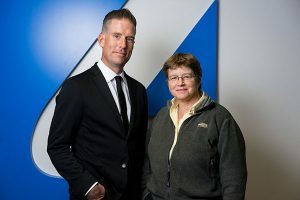 The two grants of up to $2,500 per person are awarded to tenured faculty, tenure-track faculty or lecturers with more than six years of continuous service to San Jose State. Merdinger, who retired from SJSU after a 26-year career as a professor in the School of Social Work and a stint as Associate Vice President for Faculty Affairs, said the modest grants can help faculty members attend important conferences, or help secure the assistance of graduate students in conducting research. The resulting awards program has benefitted six current faculty members to date, including the most recent recipients: Dr. Nicole Dubus, assistant professor in the School of Social Work, in the College of Applied Sciences and Arts; and Dr. AJ Faas, assistant professor in the Department of Anthropology, in the College of Social Science. Dubus conducts research into a compelling global issue: how public agencies can cope with the worldwide epidemic of forcibly displaced people, who number 65.6 million, according to the United Nations Refugee Agency. Examining how other countries, primarily in Europe, are dealing with waves of humans fleeing war, repression and political upheaval in Africa, the Middle East and other regions, Dubus said she hopes to bring some of the strategies being employed overseas to local communities and possibly incorporate them into the curriculum at SJSU. In July, Dubus traveled to Malta, a tiny island nation in the Mediterranean Sea with 383,000 residents situated between North Africa and Italy. It has received thousands of forced migrants and asylum seekers in the past 15 years. While there, she studied the various stages of processing and assimilation of migrants and refugees from African and Middle Eastern countries who land in this first foothold of Europe, including how they gain access to healthcare and other public services. Dubus met with Carmel Cefai, associate professor in the University of Malta’s Department of Psychology, director of the Centre for Resilience and Socio-Economic Health and a leading advocate for the concept of social and emotional resiliency among children, teenagers and young adults – including migrants trying to make successful transitions to a new society. She would like to see that resiliency concept adopted locally as San Jose and other Bay Area cities struggle to assimilate adults and children fleeing dire social, political and economic circumstances. Dubus said she has also conducted research into how migrants and refugees are treated in Iceland, Germany and Sweden, having received grants from the National Science Foundation. “I was able to spend two weeks in Malta and had a fantastic experience. I would not have been able to make the trip had it not been for the (ERFA) grant,” she said. The $2,500 grant also proved instrumental for Faas to visit Bogota, Colombia this past June. Faas has been a member of the San Jose State faculty since 2014. He was invited to attend a meeting of 14 anthropologists, mostly from Latin America, by Virginia Garcia-Acosta, a prominent Mexican historian and social anthropologist. The group is collaborating on a book detailing the anthropological history of disasters throughout Latin America, including such watershed events as the 1985 Mexico City earthquake that killed 10,000 people, injured 30,000 and left thousands more homeless. Faas’s academic research specialty is focused a bit further south in Ecuador, a nation of 12.5 million located along the west coast of South America. It provides no shortage of research opportunities for Faas, who began visiting the country regularly in 2009. His research includes an ongoing study of recovery and resettlement of Ecuadorean highlands residents as a result of volcanic activity. “This is a country with 30 (mainland) volcanoes and close proximity to El Nino,” he said, referring to the meteorological phenomenon known officially as the El Nino Southern Oscillation that periodically develops in the Pacific Ocean and can lead to tremendous volumes of rain falling in some parts of the Americas. He said that along with the disasters, Ecuadoreans have also had to cope with tremendous social and political upheaval, including adapting to 10 different presidents during a 14-year stretch between 1991 and 2005. During his South American visit this past summer, Faas, also a member of the worldwide Culture and Disasters Action Network, said he was able to interview a number of Andean scholars for his research. ERFA’s Merdinger said, as in past years, applications from the next group of grant proposals will be reviewed by members of the organization’s board of directors. For more information about the grant program, see application online. 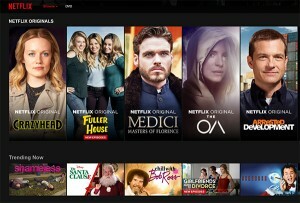 Assistant Professor Faustina DuCros is using an Emeritus and Retired Faculty Association’s Research, Scholarship and Creative Activity grant to complete the second phase of her research on the presence and depth of Asian American and Pacific Islander characters on prime time television and streaming shows. 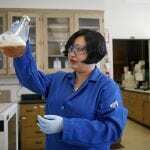 What started in 2014 as a one-year initiative to support the scholarly, creative and artistic work of professors, the San Jose State Emeritus and Retired Faculty Association’s (ERFA) Research, Scholarship and Creative Activity Grants now annually provide up to $2,500 to support faculty endeavors. This year’s recipients are Dr. Faustina DuCros, an assistant professor in the Department of Sociology and Interdisciplinary Social Sciences, and Dr. Katherine Harris, an associate professor in the Department of English and Comparative Literature. The awards are intended to support research, fund travel to conferences and help professors acquire equipment related to “scholarly and creative endeavors.” The awards can also be used, as DuCros has, to hire student assistants for research help. DuCros’ research assistants are helping with the second phase of her project that is systematically investigating the presence and depth of Asian American and Pacific Islander (AAPI) characters on prime time television and streaming shows — such as those on Netflix — during the 2015-2016 season. The project is analyzing whether the “quality, quantity and complexity of AAPI characters is comparable to that of whites and other groups,” according to the project’s abstract. Harris used the grant for travel funds to conduct research this past summer on the far-reaching impacts of British literary annuals and their pirating by American publishers. She visited archives in Philadelphia, New Jersey and New York for her book project addressing unanswered questions about the “global reach and subversion of boundaries” inspired by these annuals. 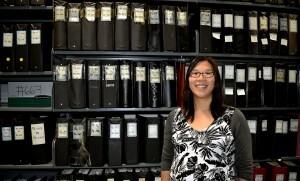 Emily Chan is one of three university librarians who received an Emeritus and Retired Faculty Association Faculty Research and Creative Activity Award to digitize a reference archive. The Emeritus and Retired Faculty Association (ERFA) is accepting applications for its 2016-17 Faculty Research and Creative Activity Award. The deadline to submit application materials is Dec. 7, at 5 p.m., to Gina Marin in the Center for Faculty Development via email to gina.marin@sjsu.edu. Lecturers with more than six years of continuous service to SJSU, tenure-track and tenured faculty are eligible to apply. Applications should include a cover page, a one-page summary and a CV. The summary should include a description of the proposed project activities and timeline and an itemized budget/justification for up to $2,500. Applications will be reviewed by members of the ERFA board of directors with announcement anticipate by the end of March 2017. In its third year, ERFA first provided the award in 2014-15. They select two recipients each year. In its inaugural year, Emily Chan, Christina Mune and Kathryn Blackmer Reyes, from the University Library, received an award to begin an archival project while Patricia Albers, a professor of art and art history, received an award to conduct biographical research about Andre Kertesz for a book she was writing. Read more about their projects online. On the lower level of the Dr. Martin Luther King Jr. Library in a back corner, 300 binders and boxes are stored that once belonged to the Pacific Library Partnership’s System Reference Center. The dusty books have been stored for more than a decade and while they are available to the public, few people know they exist. With an inaugural Emeritus and Retired Faculty Association (ERFA) Faculty Research and Creative Activity Award, three university librarians are working on digitizing the documents and making them more readily available for research. Questions covered topics ranging from kombucha to hobo signs to biographical information about community members. Chan said much of the information was sought by professionals, including people who were writing books. 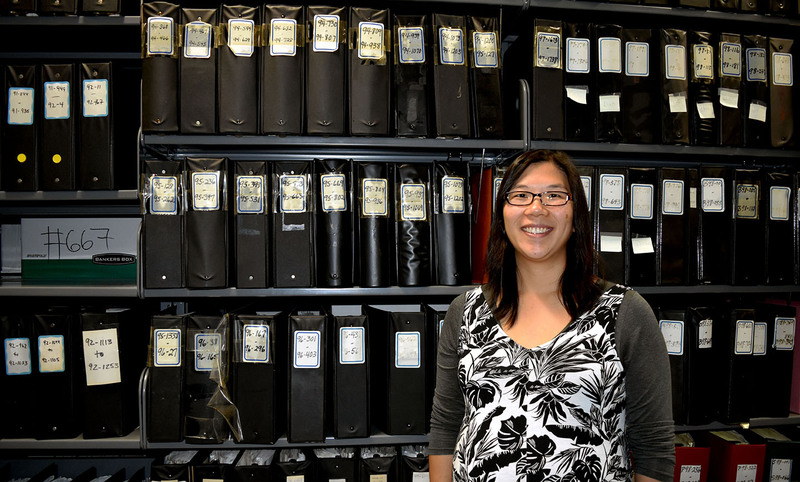 “We are dealing with a lot of technological and philosophical questions,” Chan said, of decisions about what documents to keep, in which file type to save them and how to meet accessibility guidelines when posting the archive in ScholarWorks. The university librarians plan to seek out additional funding to continue the digitizing process and they hope to write an article on the decisions they faced in creating the archive. But Chan also sees multiple research opportunities for faculty and students to pursue in the future, from the change in language over the decades as well as the evolution of tools used to find answers for library users. Joan Merdinger, a retired professor from the School of Social Work and past president of ERFA, said the association decided to start an award with its dues last year. “We’ve been ourselves members of the faculty,” Merdinger said, noting that they understand the challenges in keeping a research, scholarship and creative activity agenda going in mid-career. 2015-16 ERFA President Jo Bell Whitlatch said the group has often donated to the university, but two years ago they discussed a new approach to supporting education at SJSU. Patricia Albers, a professor in Art and Art History, said the $2,500 award from ERFA helped her to gain momentum in researching a biography on André Kertész, a 20th century photographer. The book is due to her publisher in December 2016. Albers had already visited Kertész’ birthplace in Budapest and the city where he first won acclaim, Paris. The proposal allowed her to spend five weeks in New York, where the photographer spent most of his career. Applications are now being accepted for 2016-17.